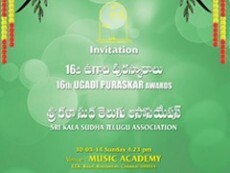 Sri Kala Sudha Telugu Association cordially invites you to the 21th UGADI PURASKARALU AND MAHILA RATHNA AWARDS. 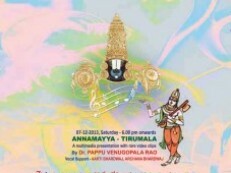 Venue : Music Academy, 168 TTK Road, Chennai Date : Sunday, 7th April 2019. Time: 06.03 Pm onwards. 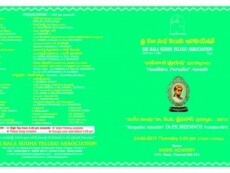 Please come, dont miss. 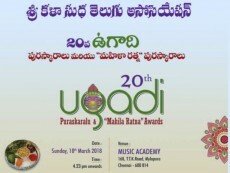 Sri Kala Sudha Telugu Association cordially invite you to 19th UGADI PURASKARALU 'Bapu Ramana' Puraskaralu "Mahila Ratna Awards" function on 29-03-2017 (Wednesday). 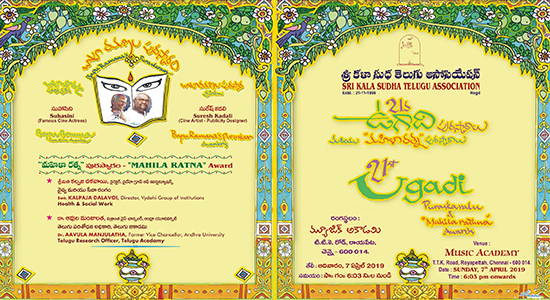 Sri Kala Sudha Telugu Association cordially invite you to 18th UGADI PURASKARALU 'Bapu Ramana' Puraskaralu "Mahila Ratna Awards" function on 08-04-2016 (Friday). 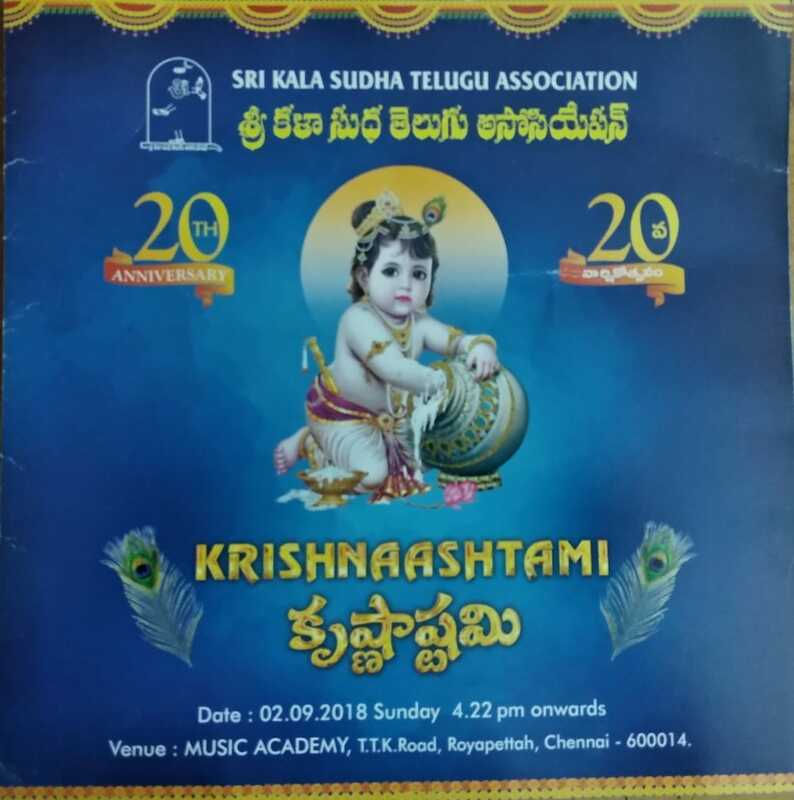 Sri Kala Sudha Telugu Association cordially invite you to "Avathara Purusha Awards" function on 24th Sep 2015 (Thursday). 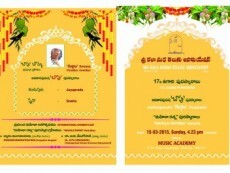 Venue for both days: Music Academy, 168 TTK Road, Chennai. 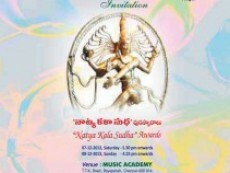 Sri Kala Sudha Telugu Association cordially invite you to 2 day Dance Extravaganza "Natya Kala Sudha Awards" function on 7th & 8th Dec 2013 (Saturday and Sunday). 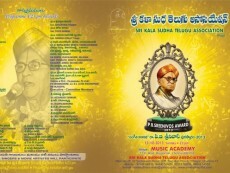 Sri Kala Sudha Telugu Association cordially invites you for "P B SREENIVOS AWARDS, 2013".